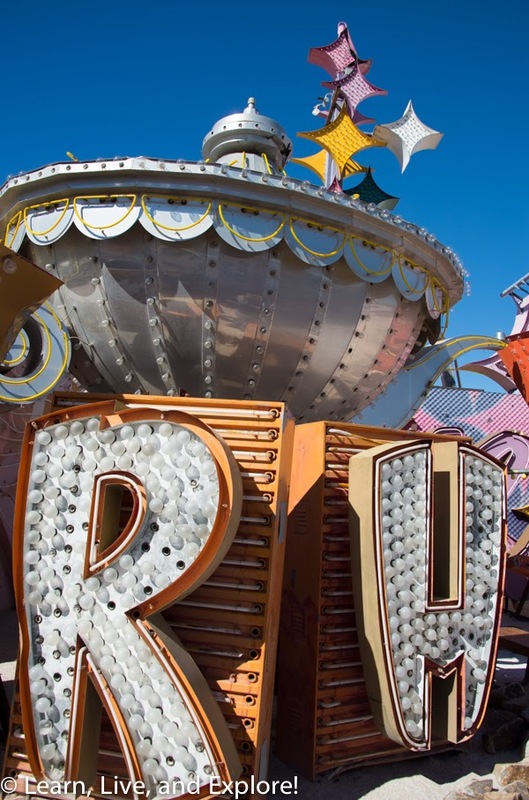 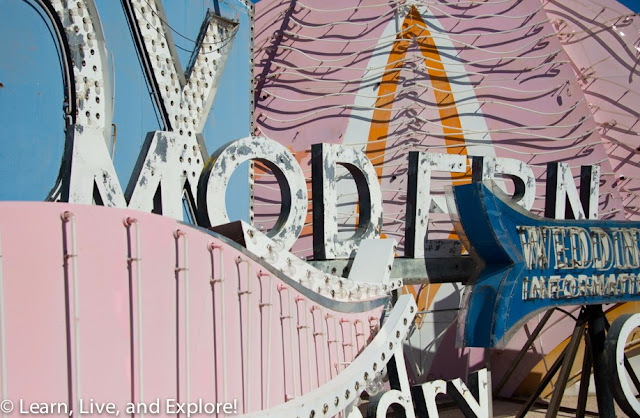 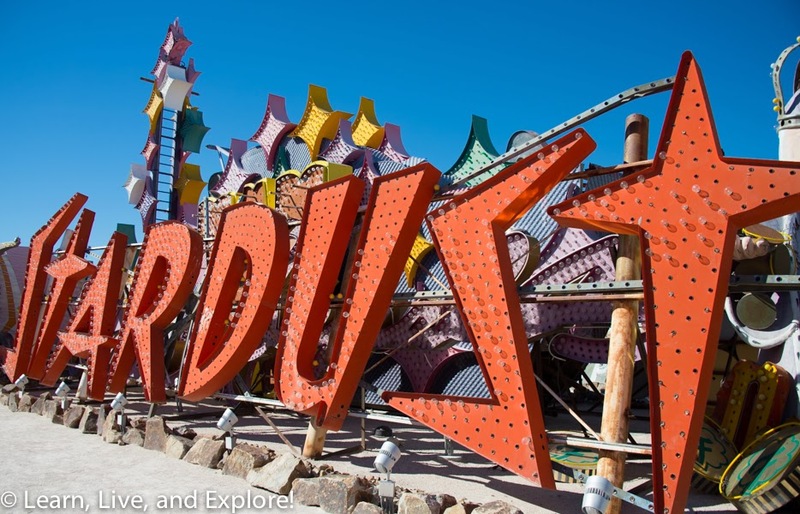 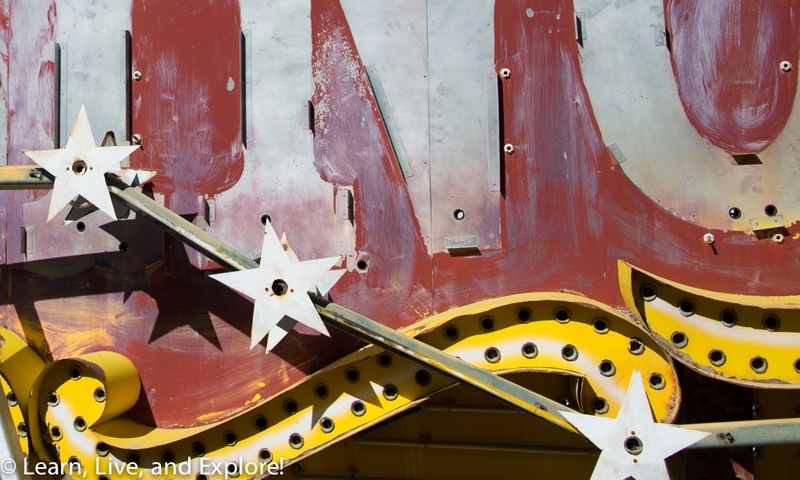 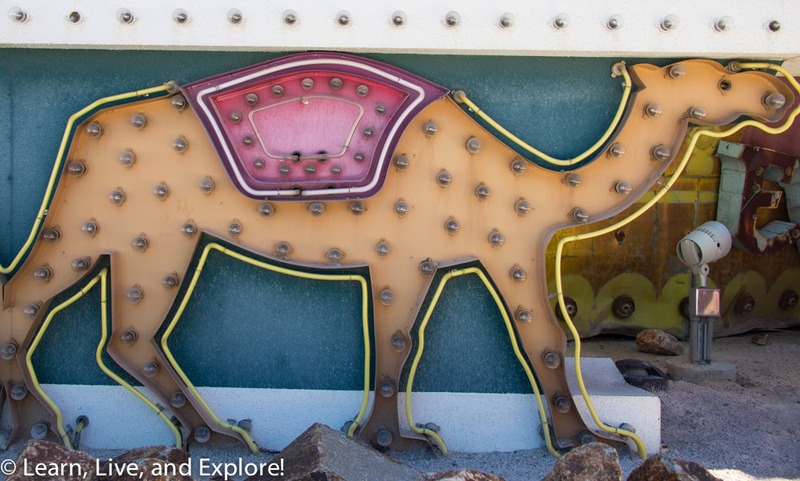 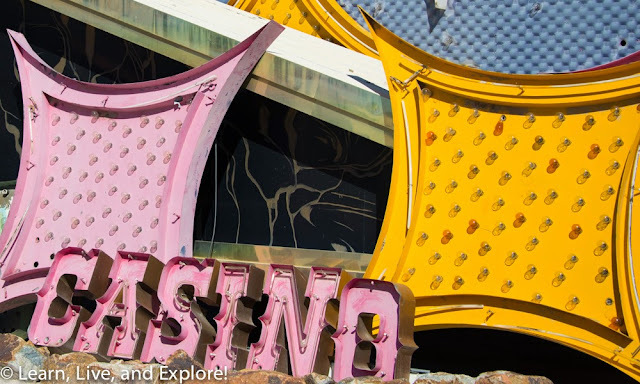 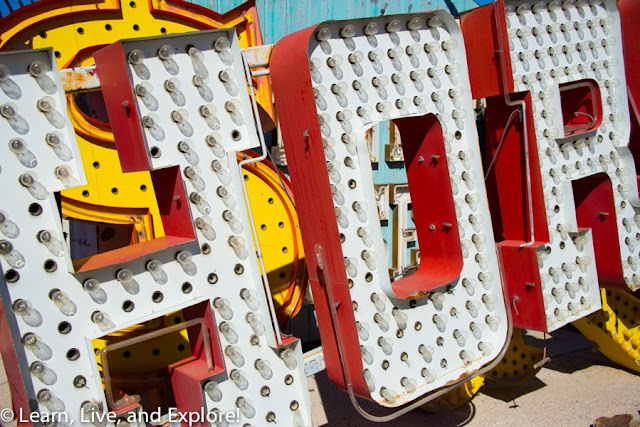 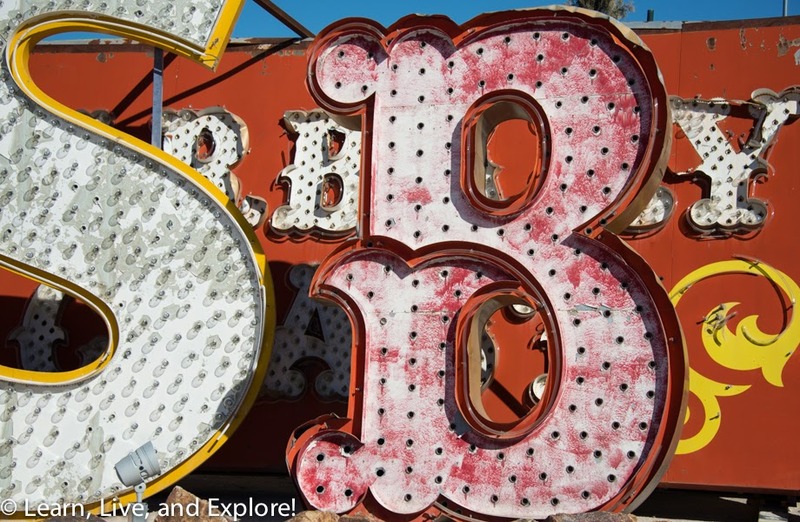 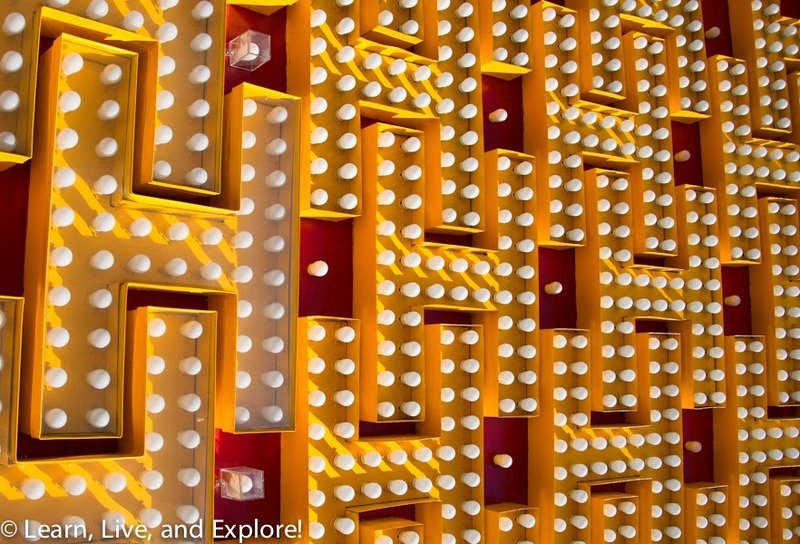 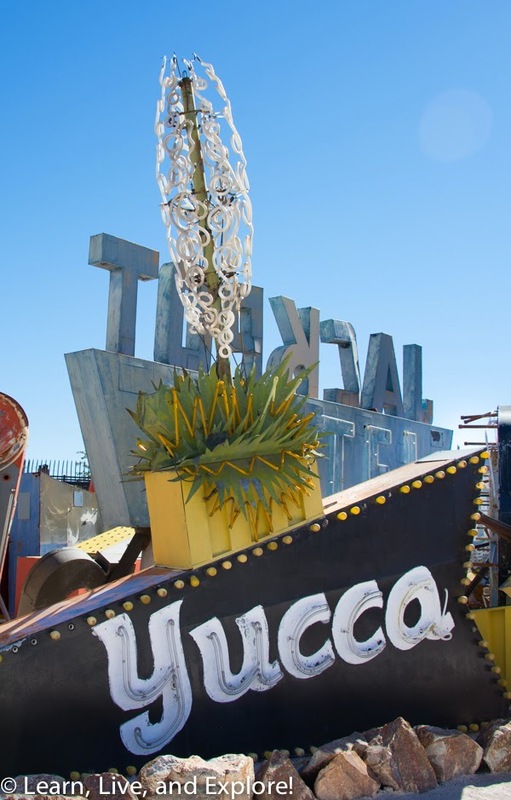 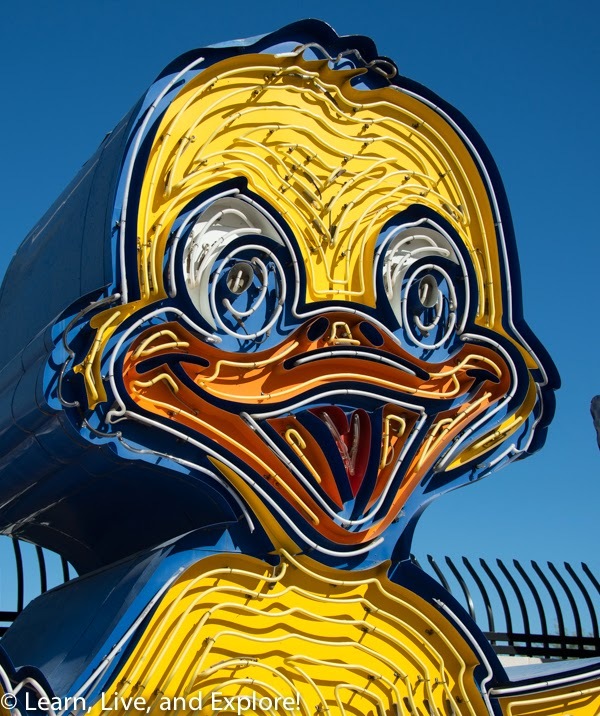 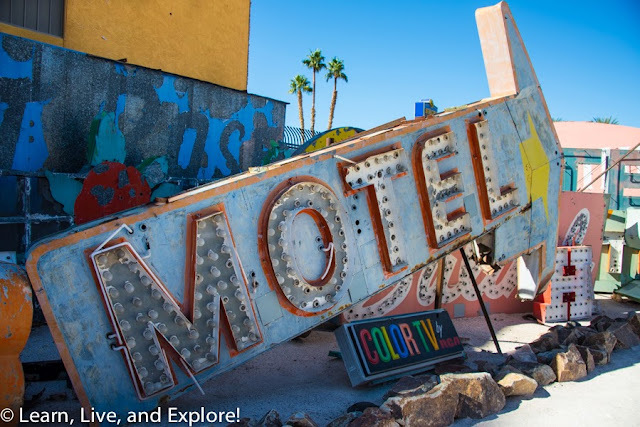 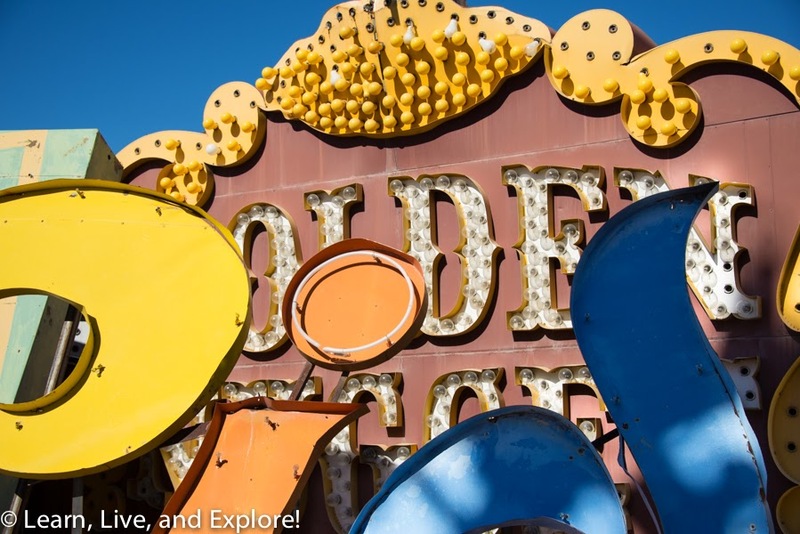 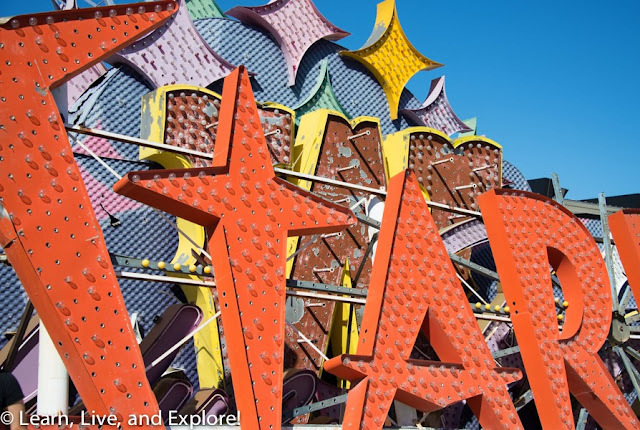 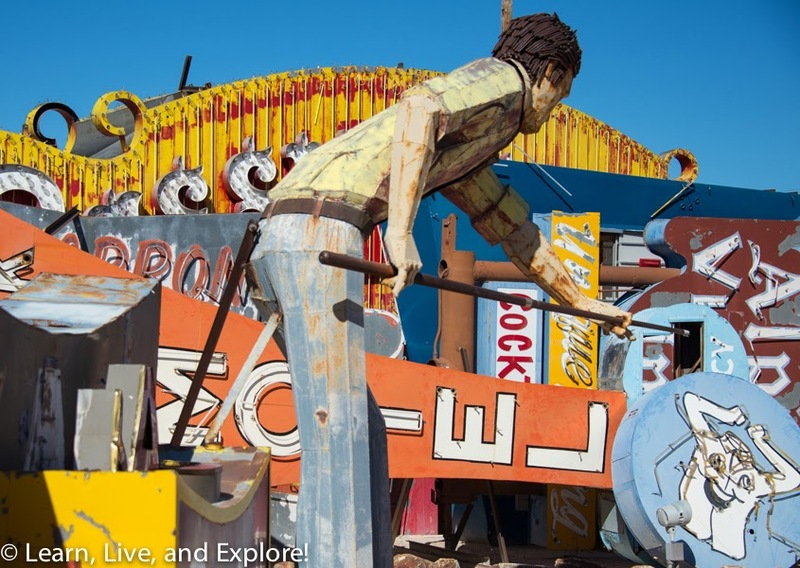 This is How I Do Vegas: Neon Sign Boneyard ~ Learn, Live, and Explore! 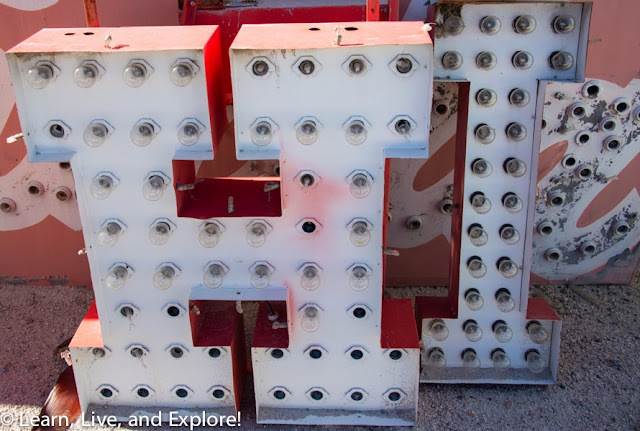 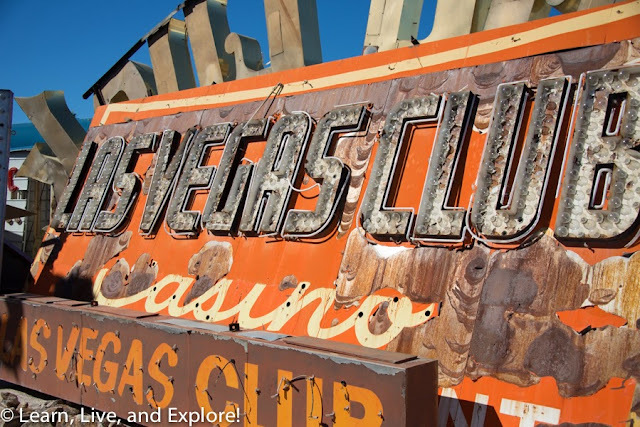 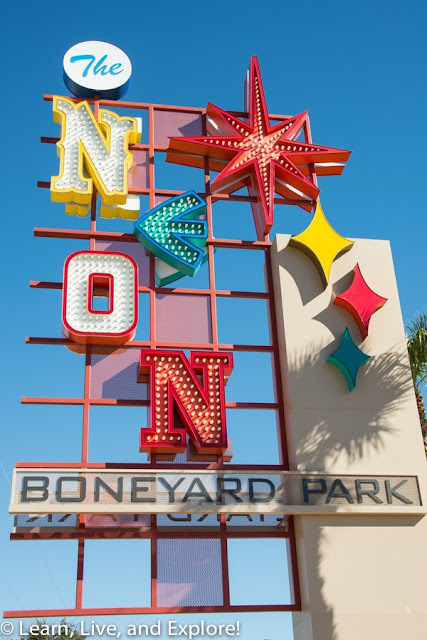 Remnants of Las Vegas' past can be found just north of Fremont Street at the Neon Sign Boneyard Park. 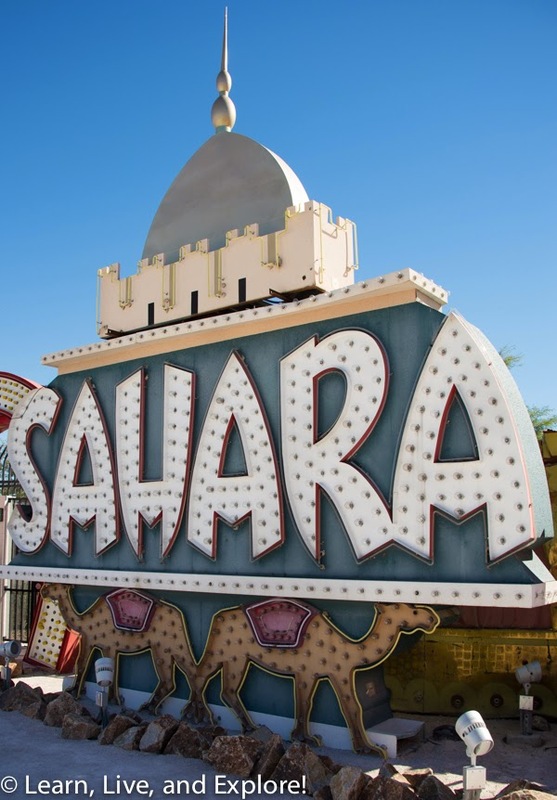 Here you can find iconic signs from some of Vegas' casinos and shops. 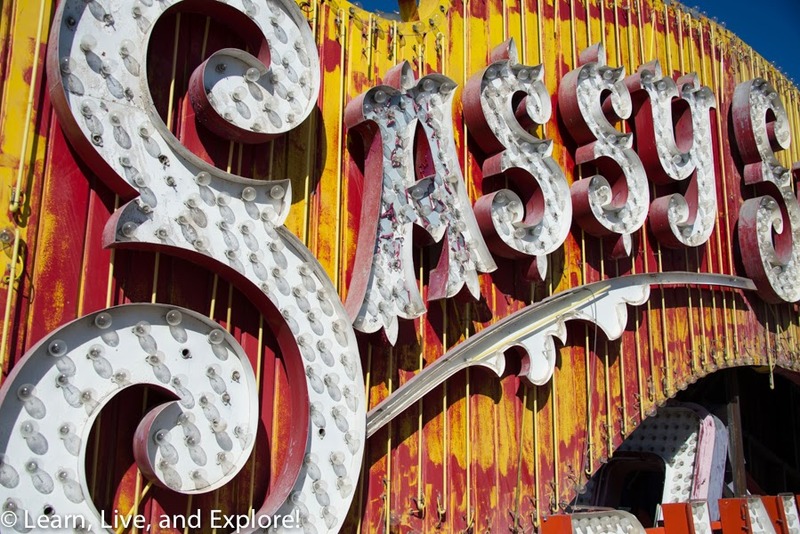 The collection is thoughtfully organized to present examples of styles, fonts, lost infamous casinos, etc. 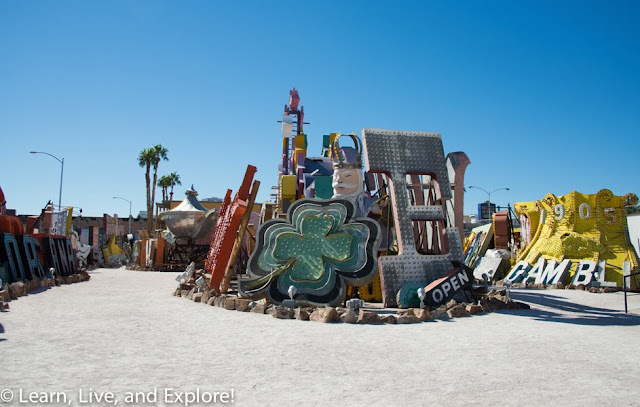 And the guide's one hour tour is both informative and inspirational. 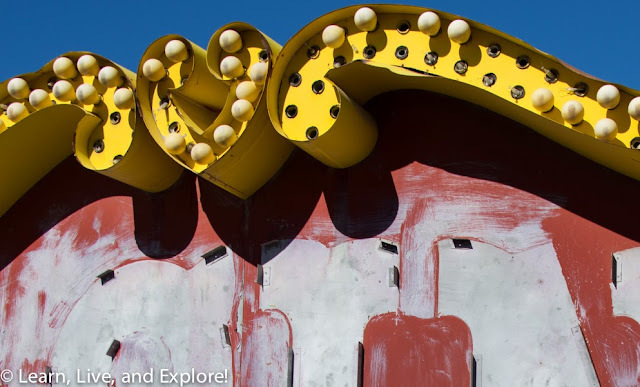 Take a camera and there is no way you will leave the lot without some very artsy photos. 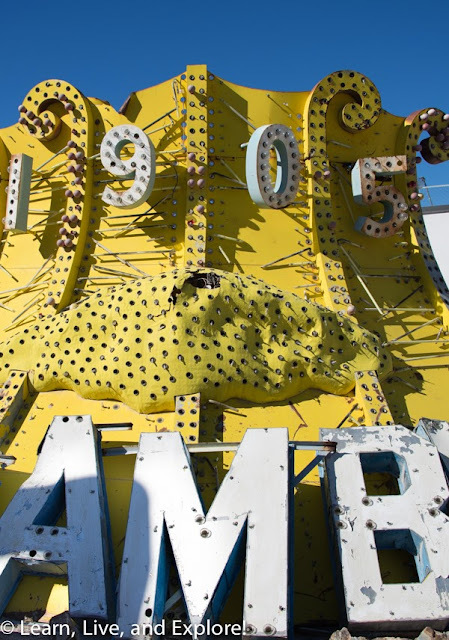 Don't miss the architecture of the visitor's center - a relocated lobby of the La Concha Model, an authentic example of Googie architecture designed by Paul Williams.